Sep 29, 2018 @ 1:30 PM - 3:00 PM The Community Library Project, Deepalaya School,, Panchsheel Enclave, New Delhi. 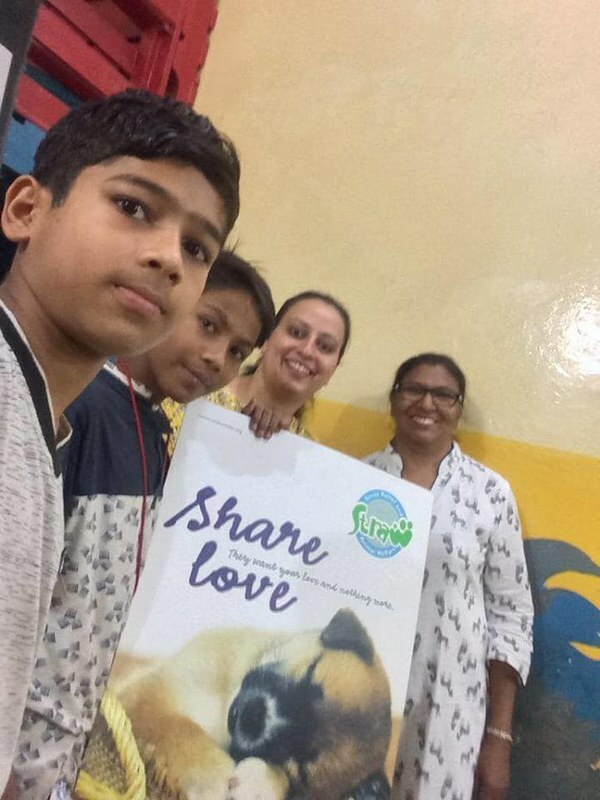 STRAW India conducted a Humane education program with short movie screening at The Community Library Project with an aim to sensitize 30+ young readers of the Community Library Project, to care and to be kind to animals and to care for the environment. The Community Library Project believes all people should have access to books. They are committed to the work of building the movement for a publicly owned library system that is accessible to all. they work in collaboration with the Deepalaya NGO. STRAW (Stray Relief and Animal Welfare) India is a registered nonprofit /non-government organization and its focus is summed up in its motto, Animal Welfare through Education. It promotes empathy and compassion for all living beings and care for the environment by educating young people through its humane education programs and workshops.